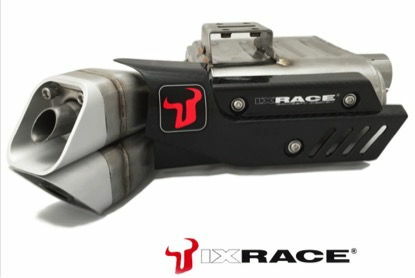 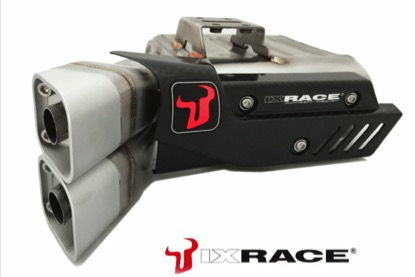 IXRACE silencers are of superior quality. 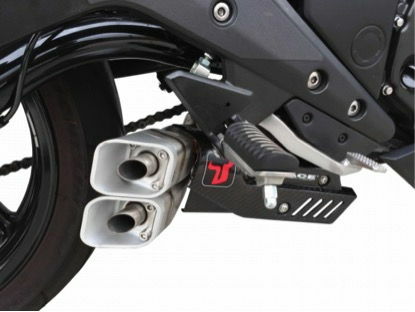 Combined with two end caps where you can change the position and the heatshield made from carbon fibre, you get a top of the the range muffler. 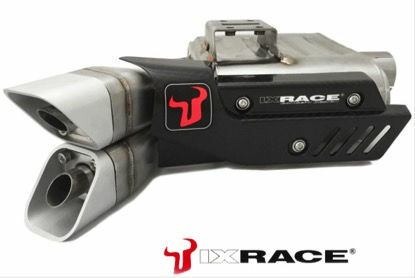 Excellent optic and deep full sound fulfill all customer requirements. 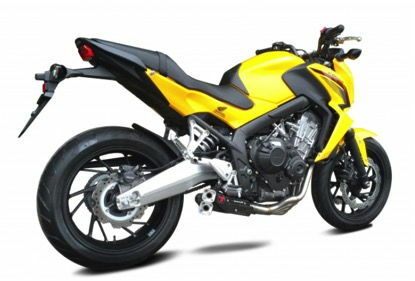 Please note – Not compatible with centre main stand.